Feeling stuck in the middle? Like nothing is beginning and nothing is ending? 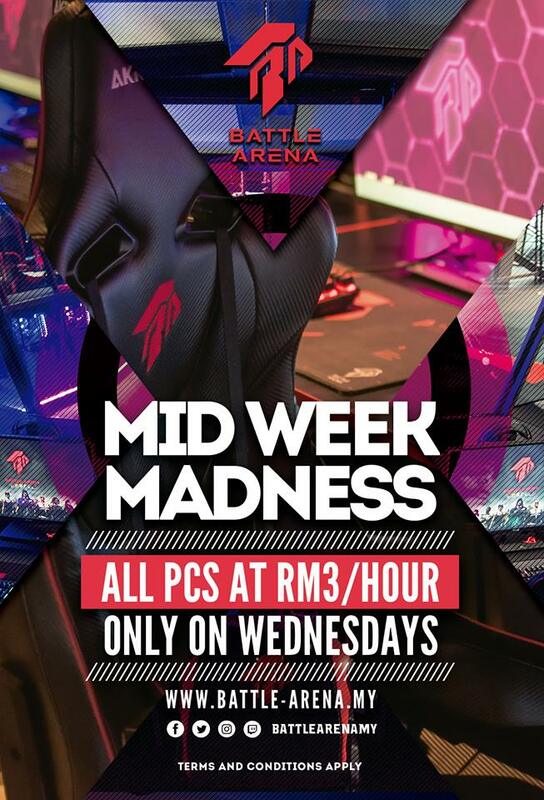 Come meet us in the middle at Battle Arena for our Mid Week Madness – play for a flat rate of RM3 per hour for all PCs! So why don’t you just meet us in middle? Applicable EVERY Wednesday from this week onwards!